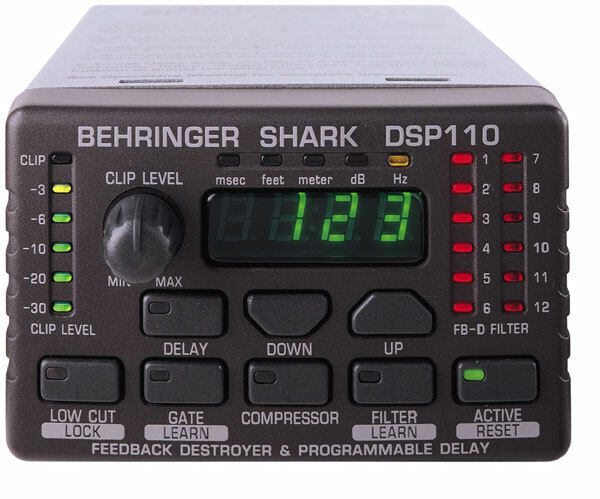 Our popular all-round problem-solver combines a ULN mic/line preamp with a variety of useful signal processing options, including our renowned FEEDBACK DESTROYER circuitry, a delay line for speaker time-alignment, an effective yet easy-to-use compressor and a noise gate with LEARN mode. 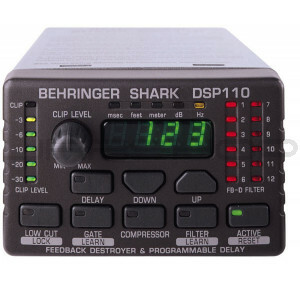 Switchable +48 V phantom power, 24-bit A/D and D/A converters and professional connectivity round out the package and add to the SHARK's ability to adapt to just about any application. Get a five-pack and rack-mount them in just over one space.